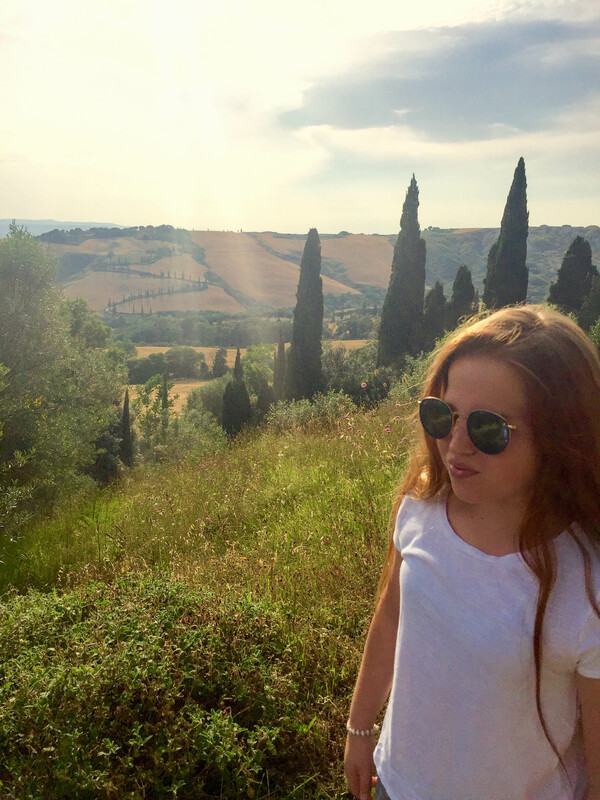 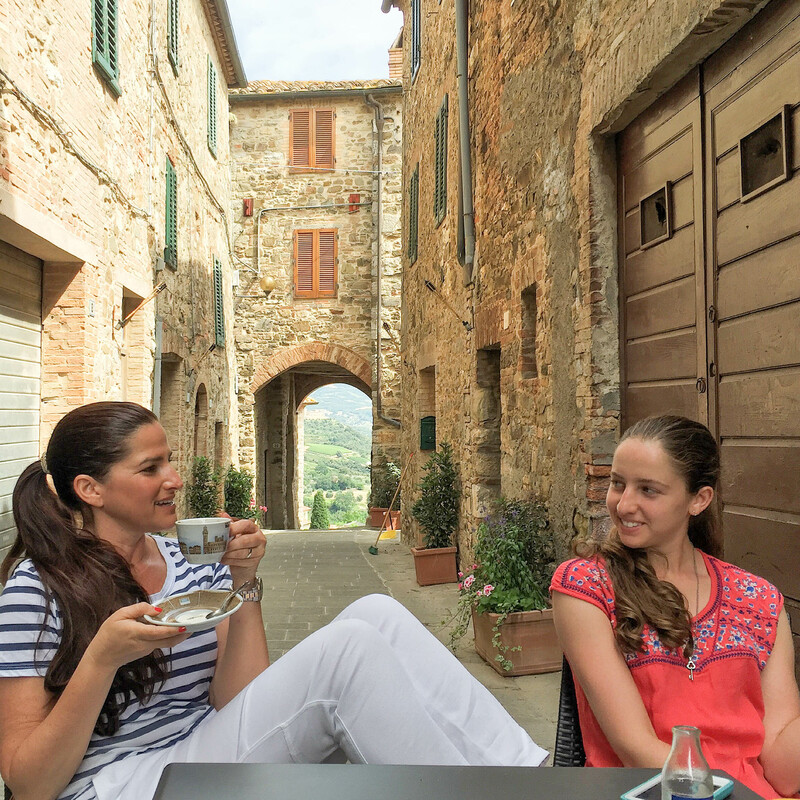 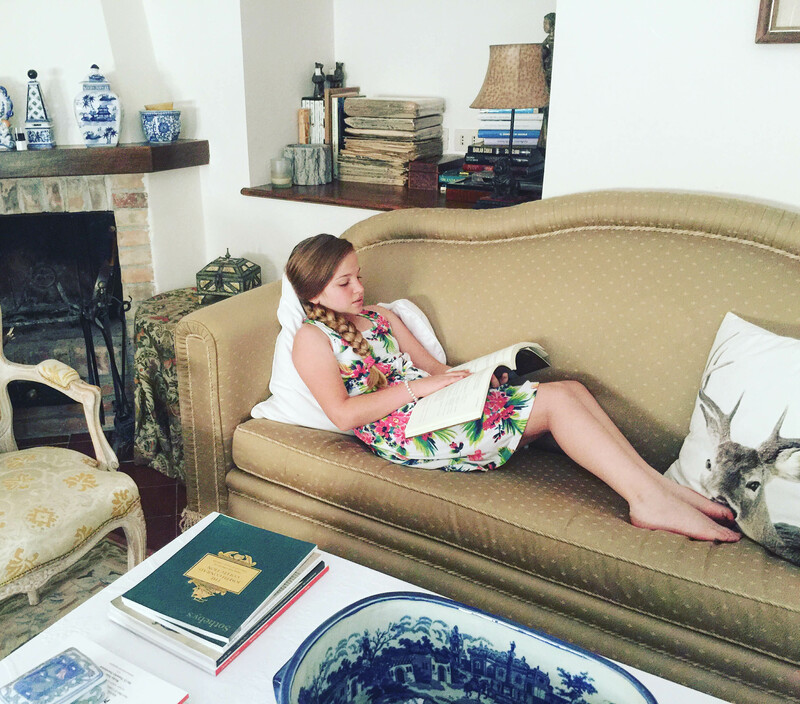 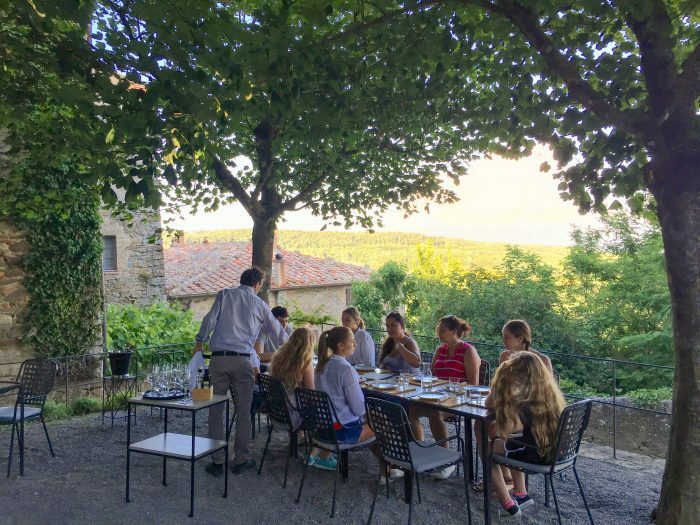 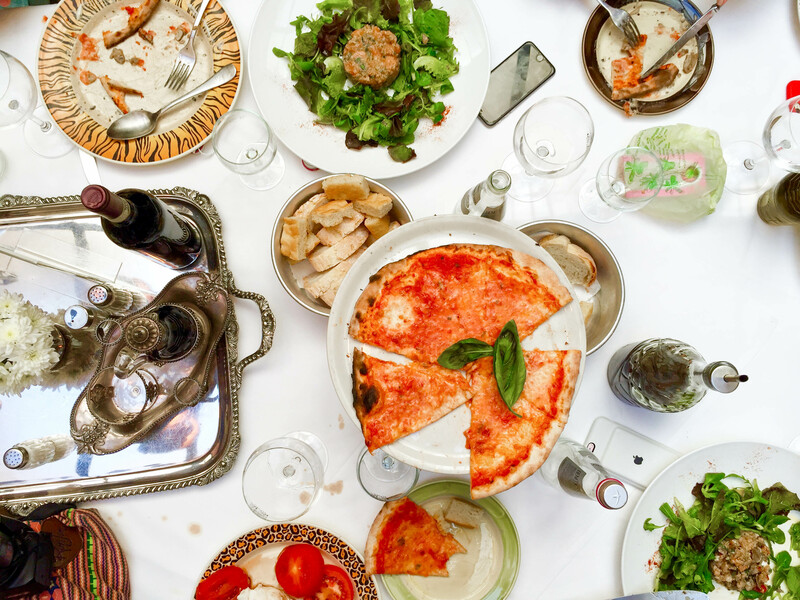 Last summer, our family took a two week long trip to Tuscany. 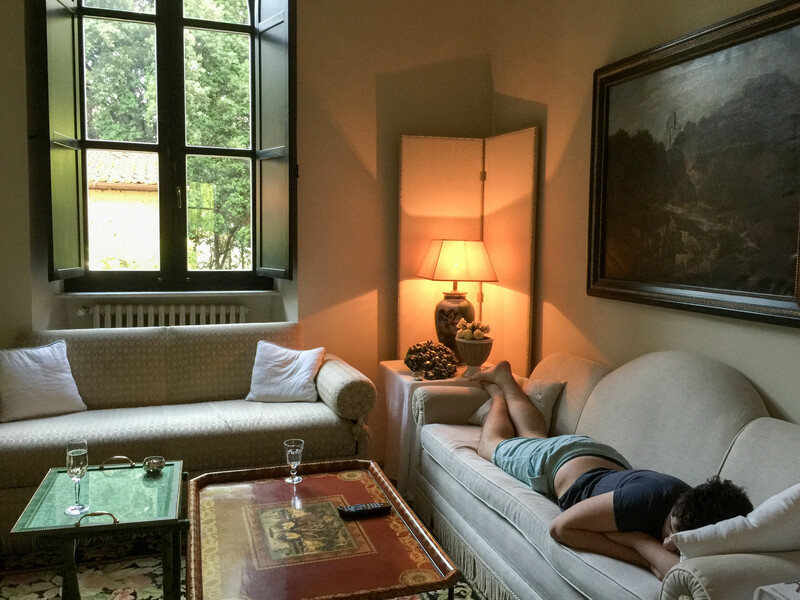 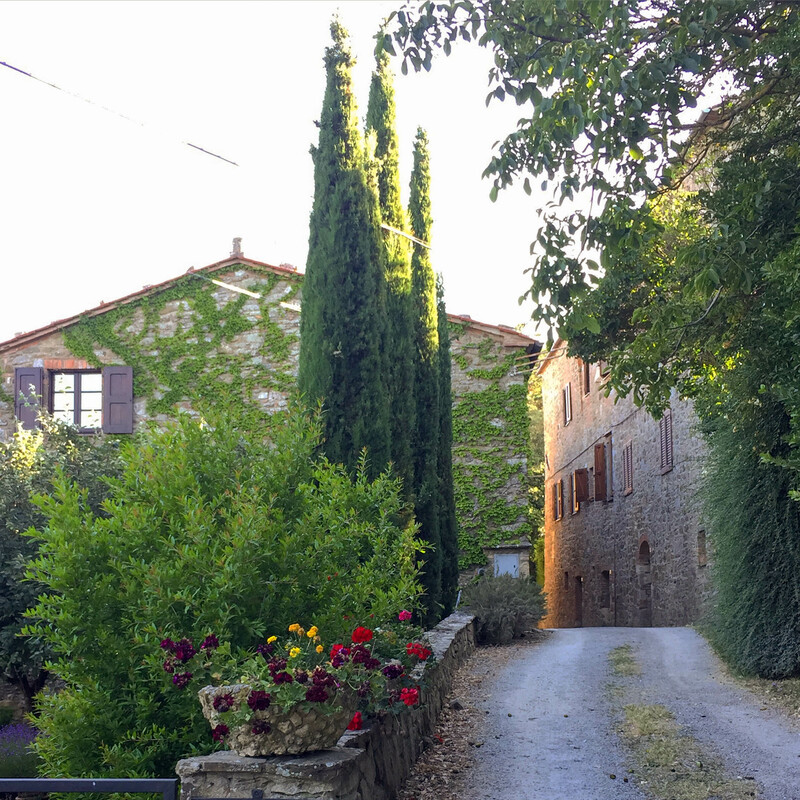 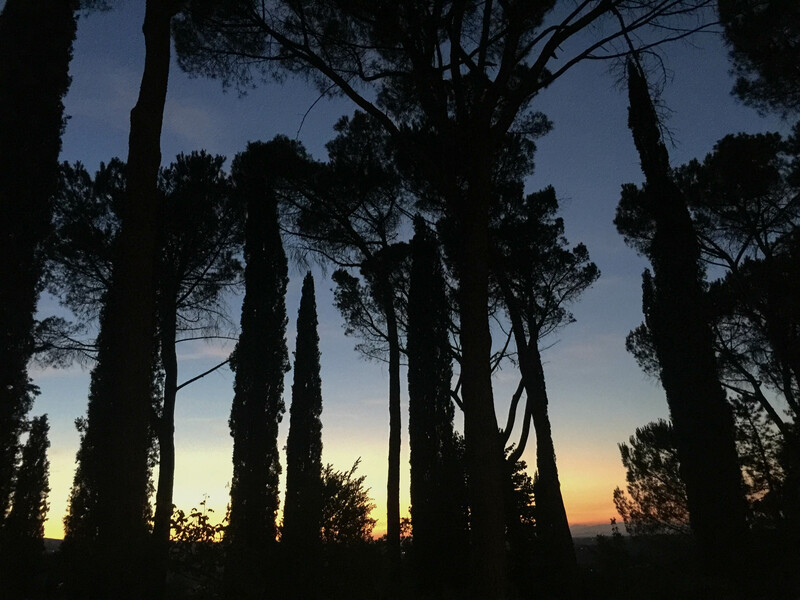 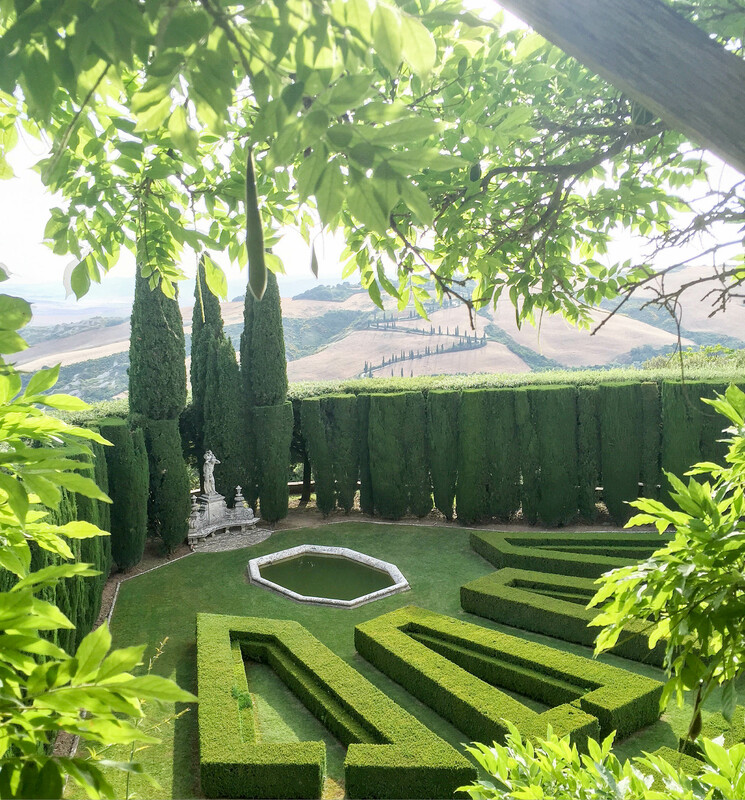 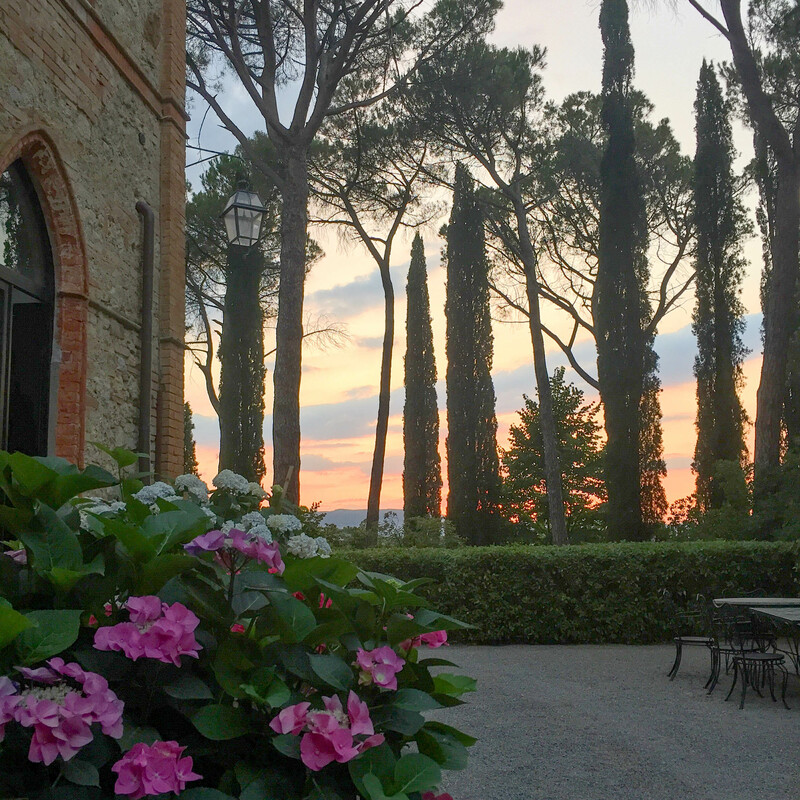 We rented a villa located in the town of Chiusi in the Sienna Region of Tuscany. 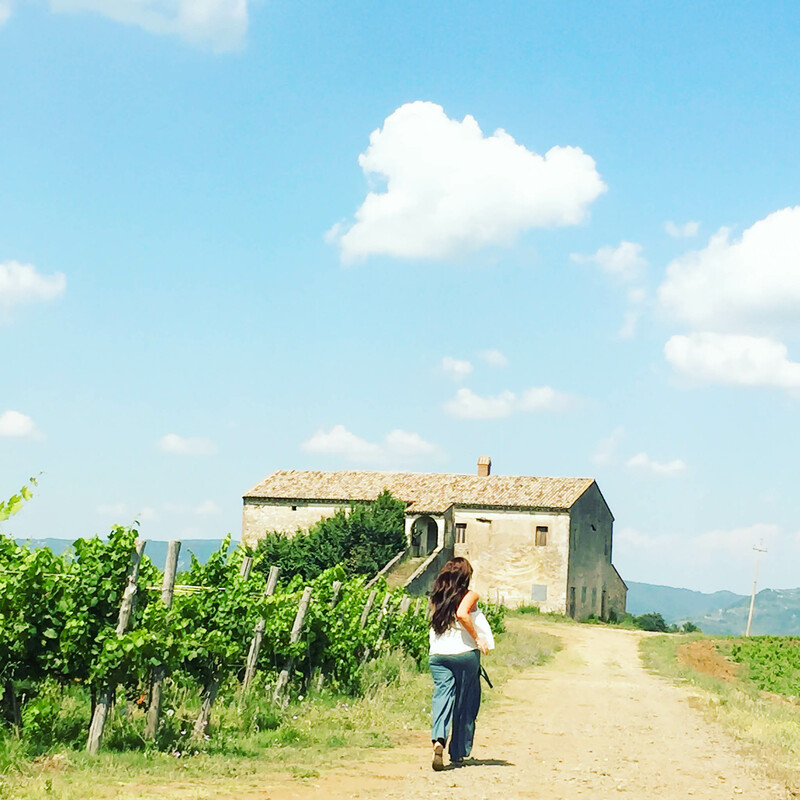 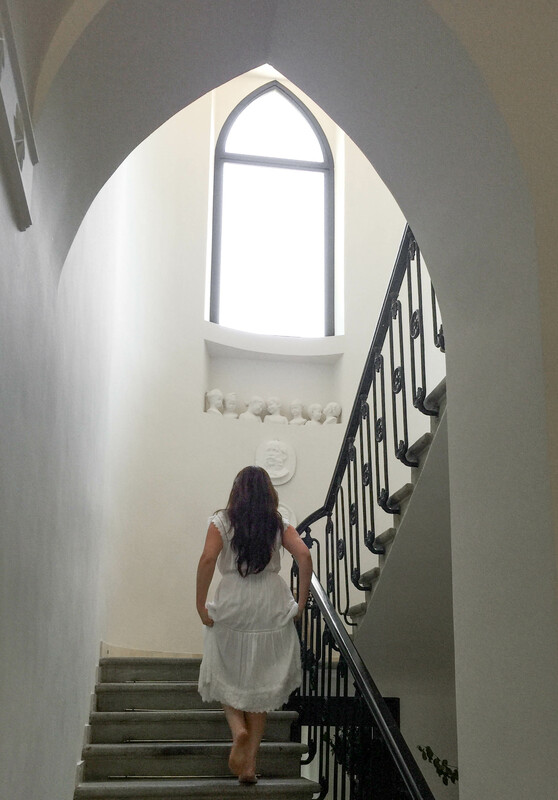 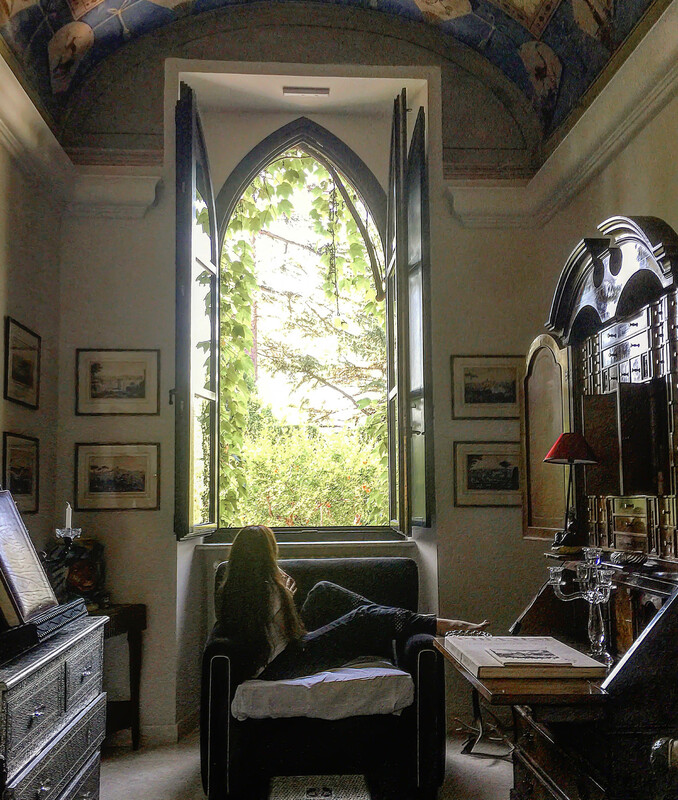 It was such a beautiful escape to explore the Italian countryside. 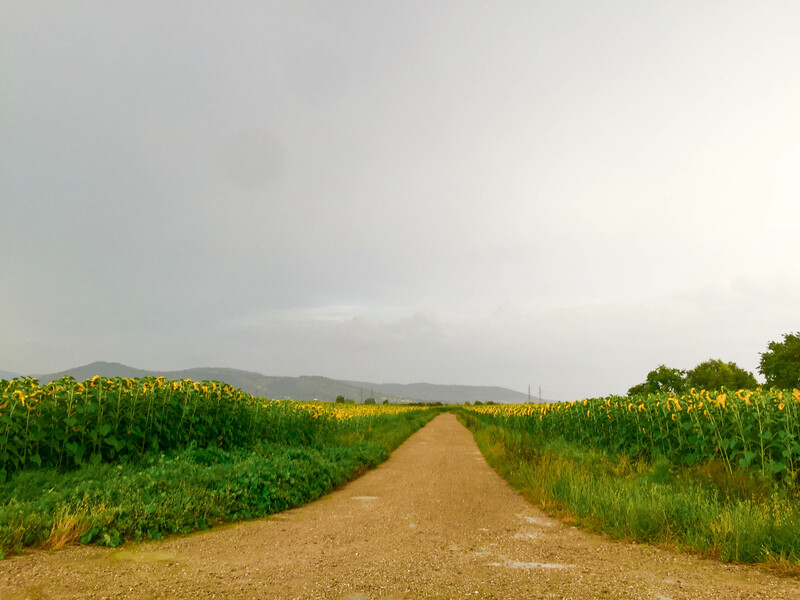 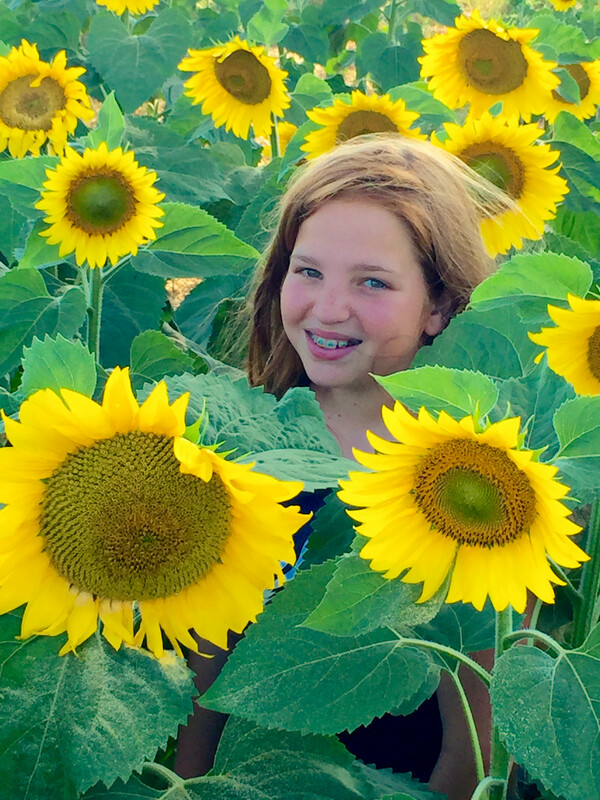 In the mornings, my early rise partner in crime, Shana, and I explored the surrounding areas, sometimes to the supermarket and other times to take pictures and look for the sunflower fields. 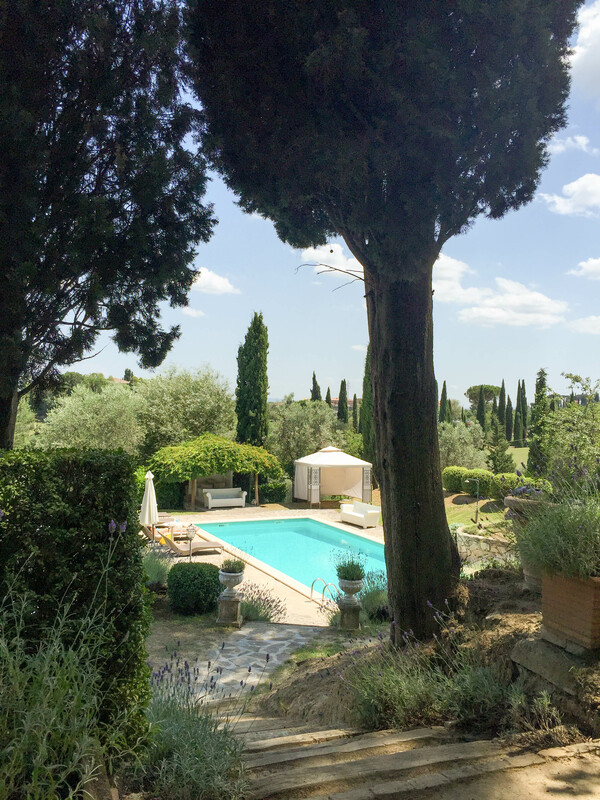 We also spent the mornings by the pool enjoying the villa and gardens that were all around it. 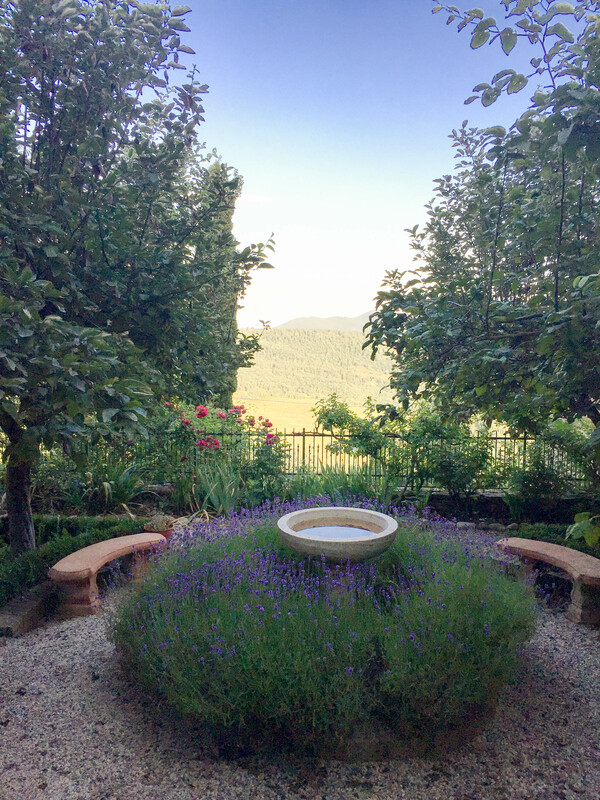 The location was perfect as we were able to visit so many small towns, winer-ies, natural springs, gardens and more all within the region and usually the trips were only an hour in each direction. 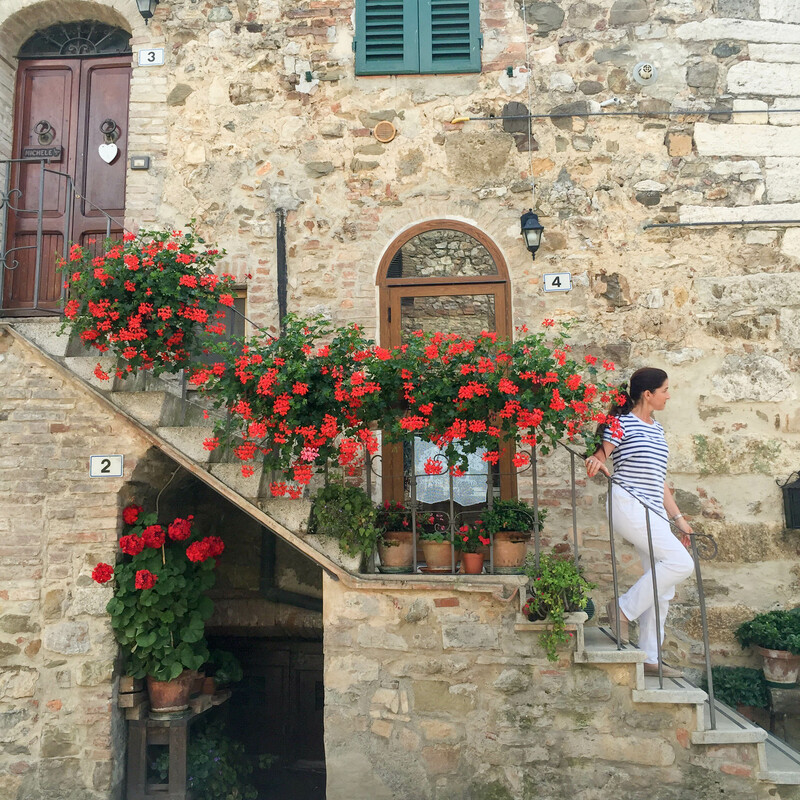 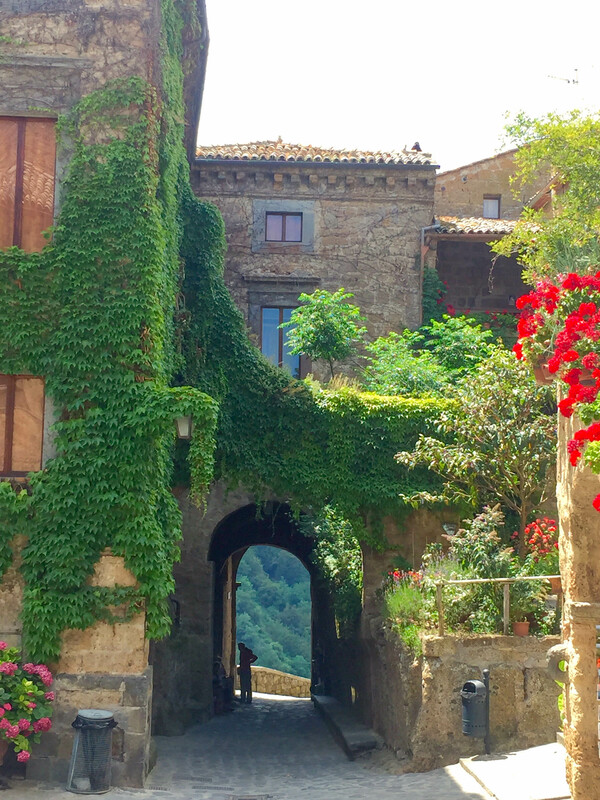 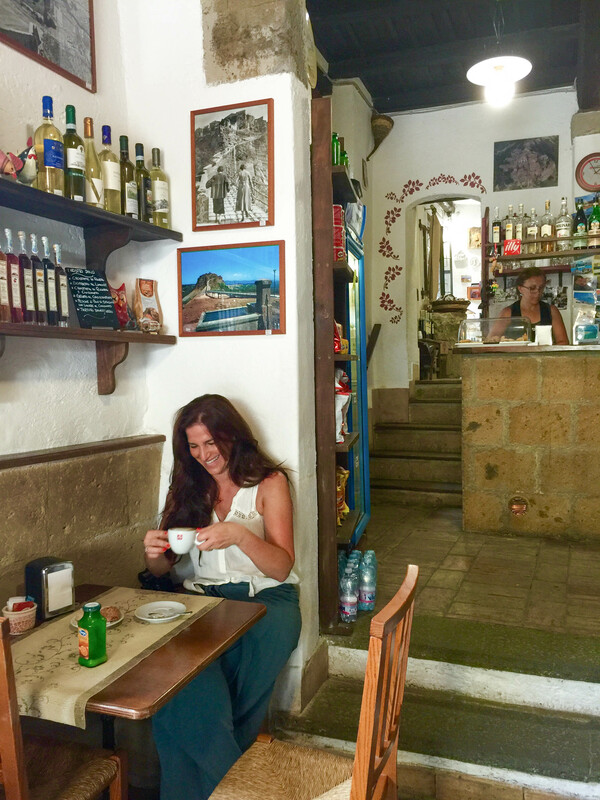 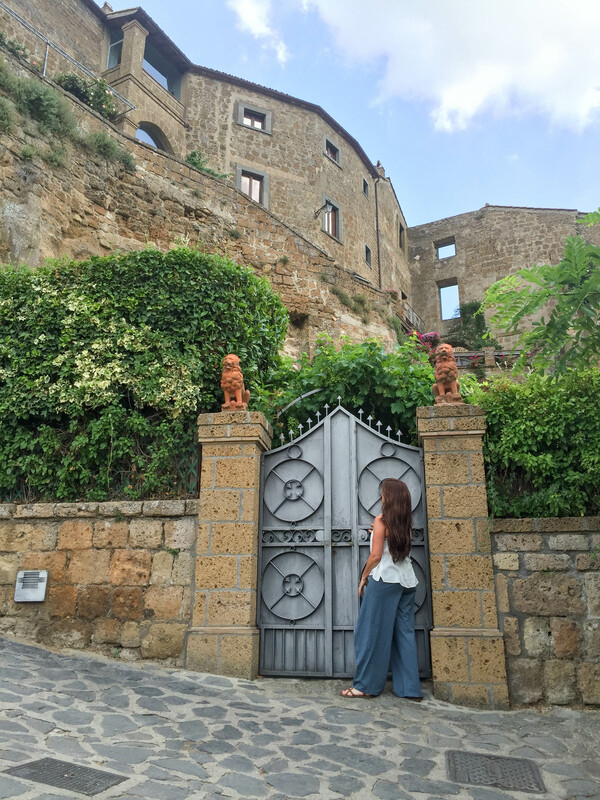 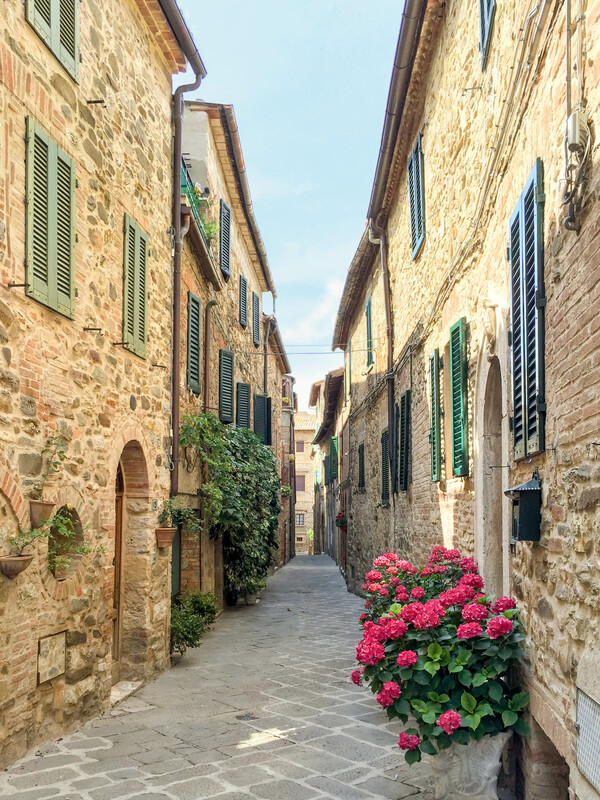 We spent time off the beaten path in Civita di Bagnoregio enjoying a world that seems to be stuck in the Middle Ages as you feel the history in the smooth cobblestones beneath your feet. 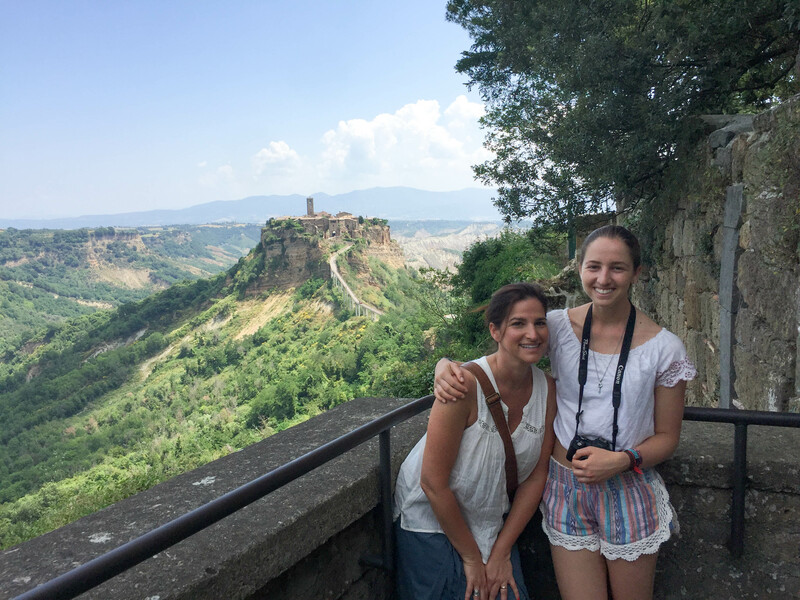 This amazing little town teeters atop a peak that rises high above a large canyon. 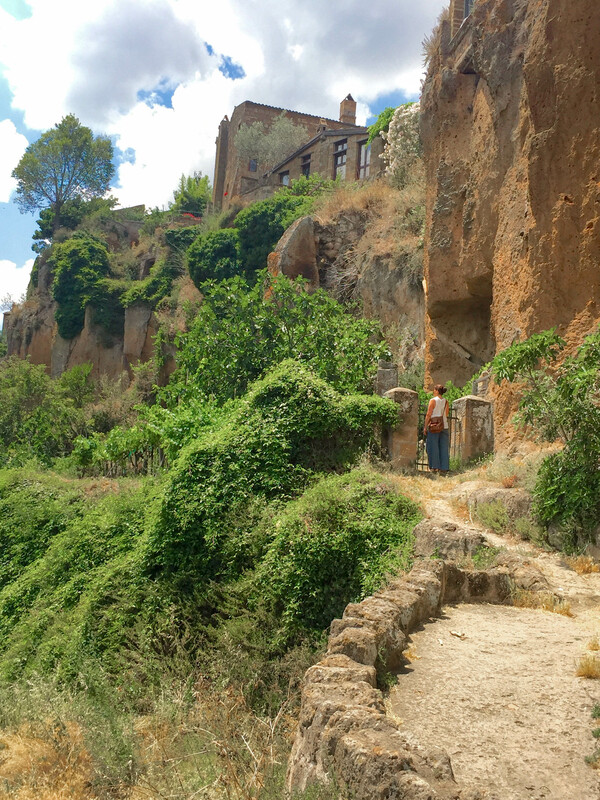 It seems as though it were carved right out of the rock that it sits on! 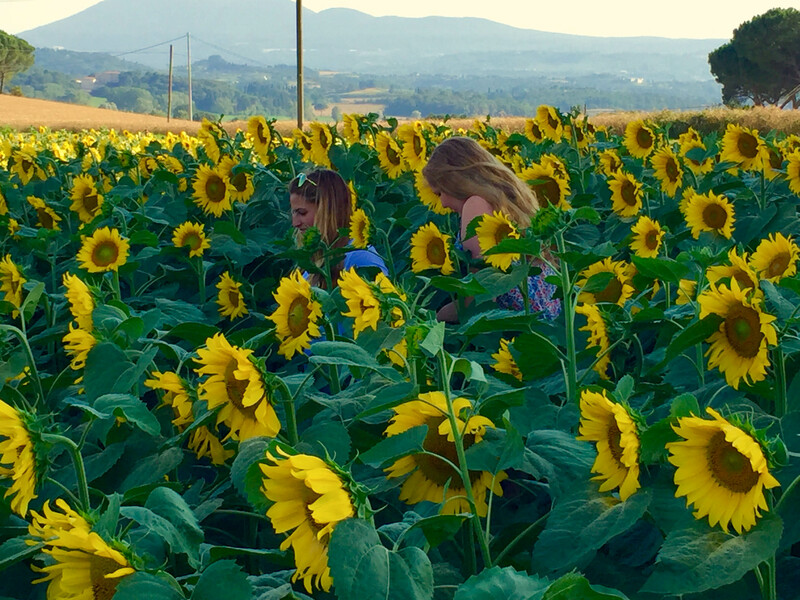 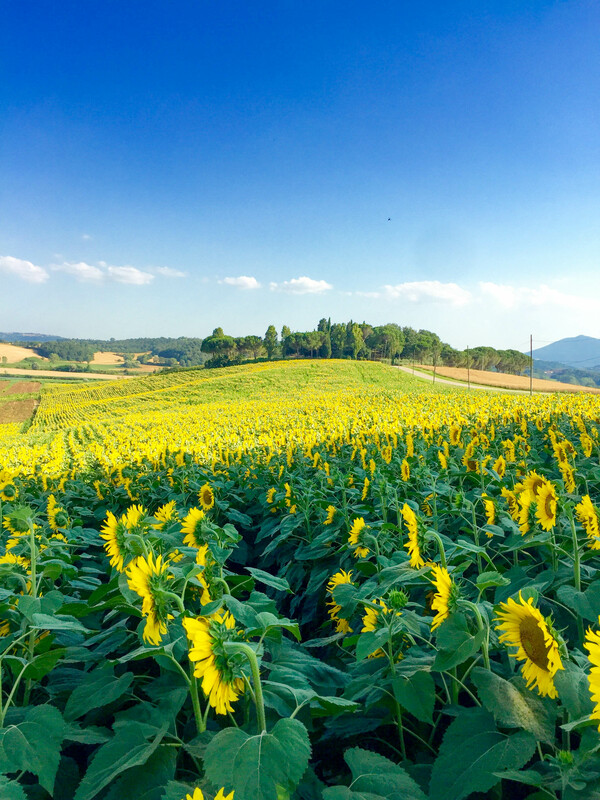 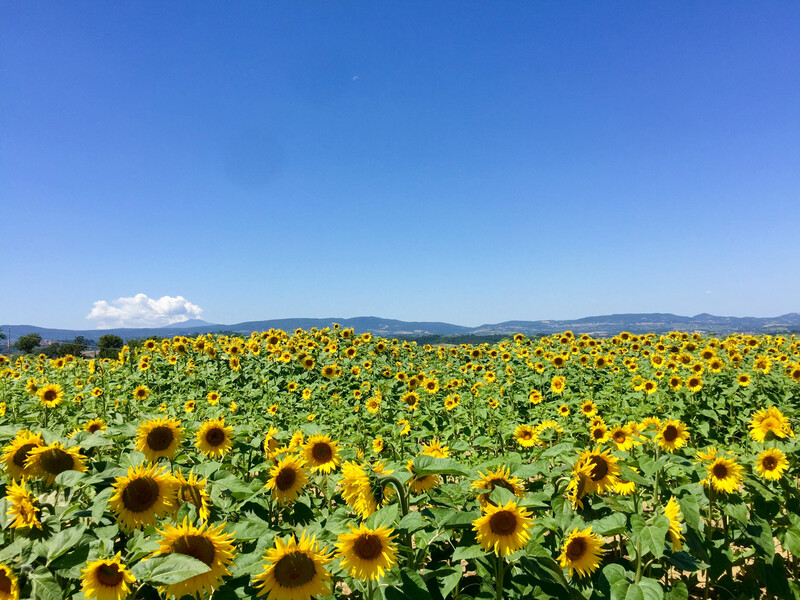 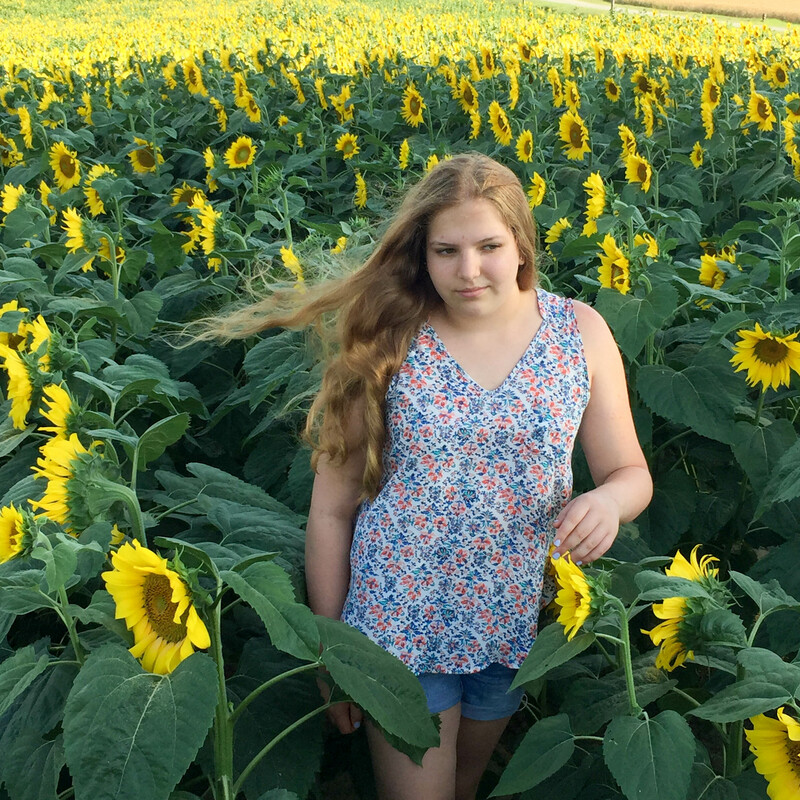 We wandered through sunflower fields as far as our eyes could see in Montallese-Chiusi and walked through a story book dwelling in a tiny village in Sarteano where the population was a mere 7! 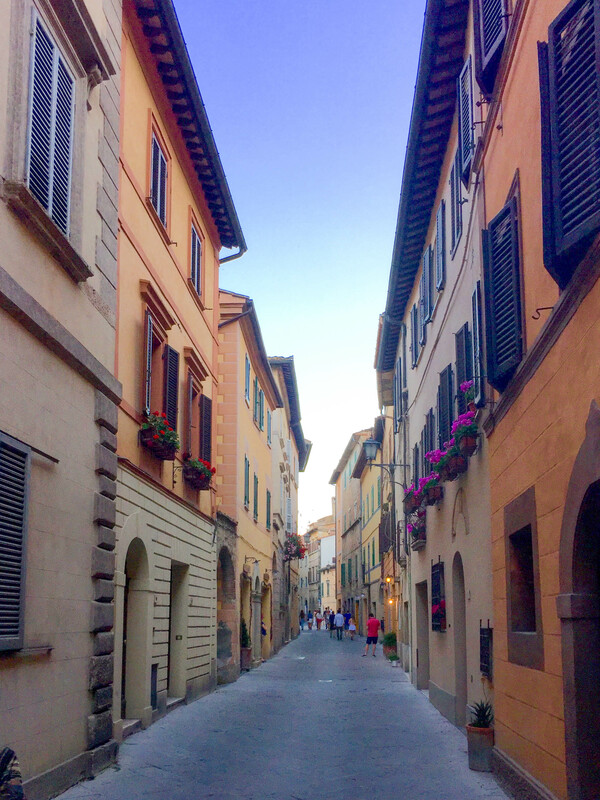 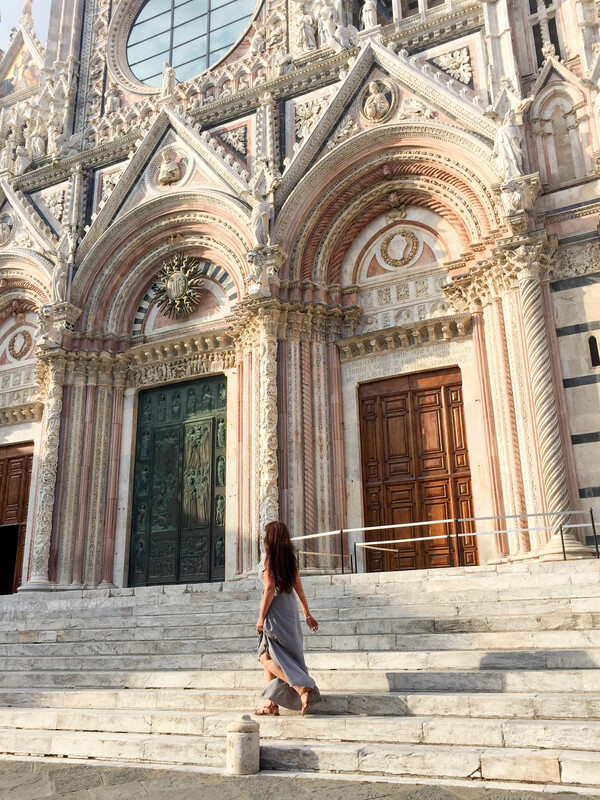 We explored through the corridors of Castelnuovo Berardenga stopping at coffee shops along the way and toured the Cathedral of Santa Maria Del Fiore. 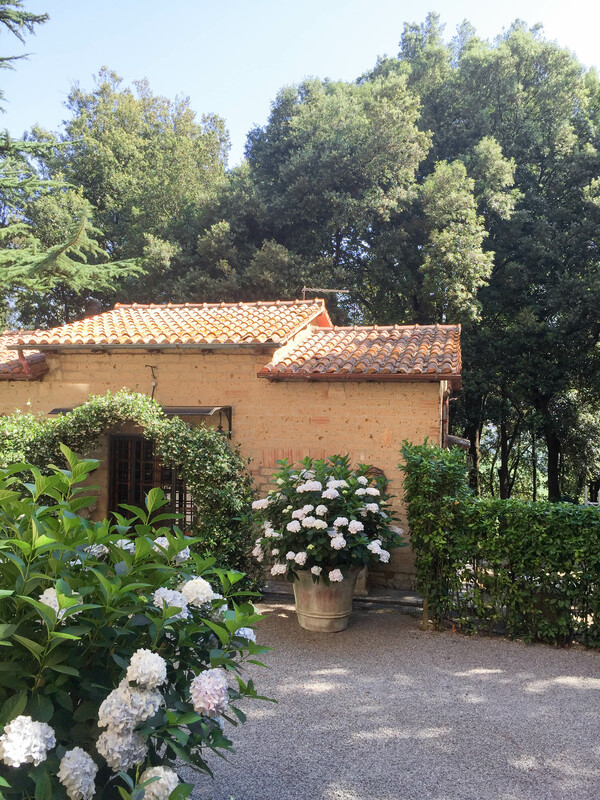 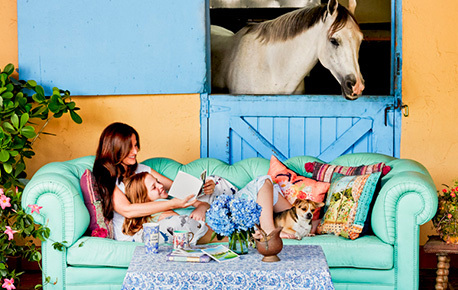 We also visited a beautiful estate called Castello Di Reschio in Umbria where they had an array of equestrian art. 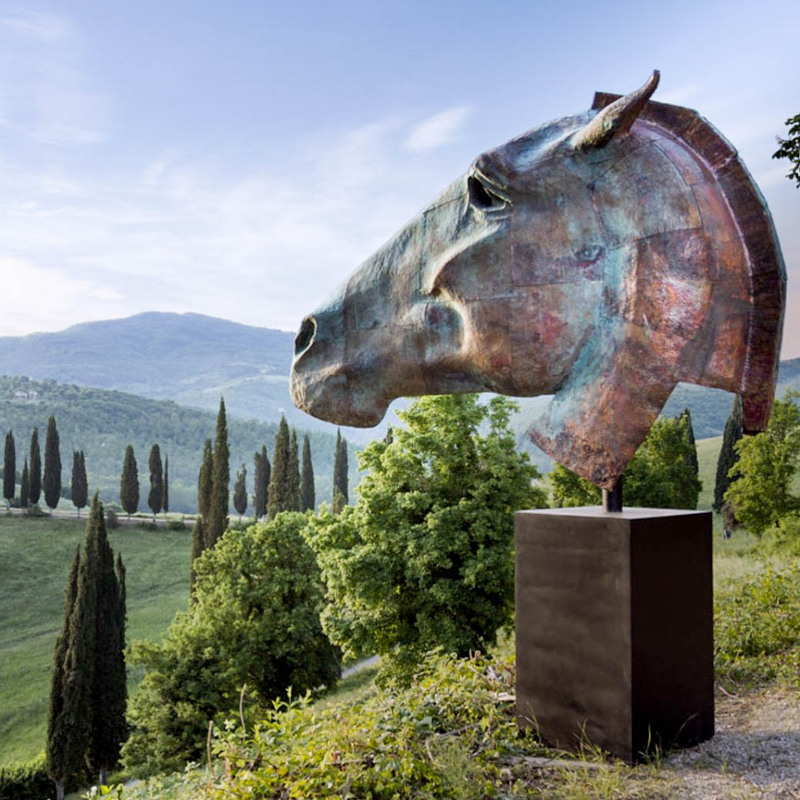 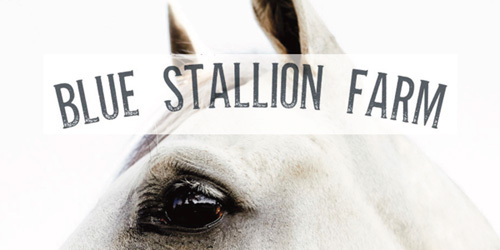 We particularly loved Nic Fiddian-Green’s horse head sculpture. 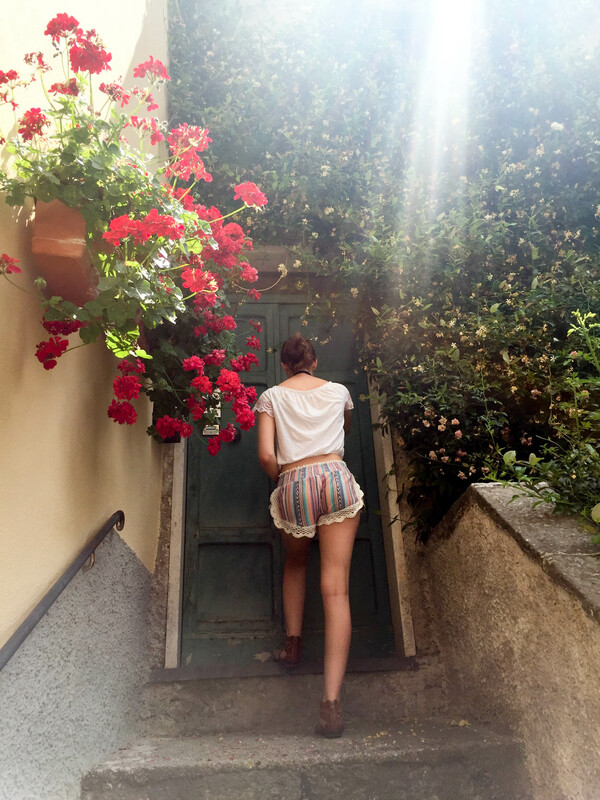 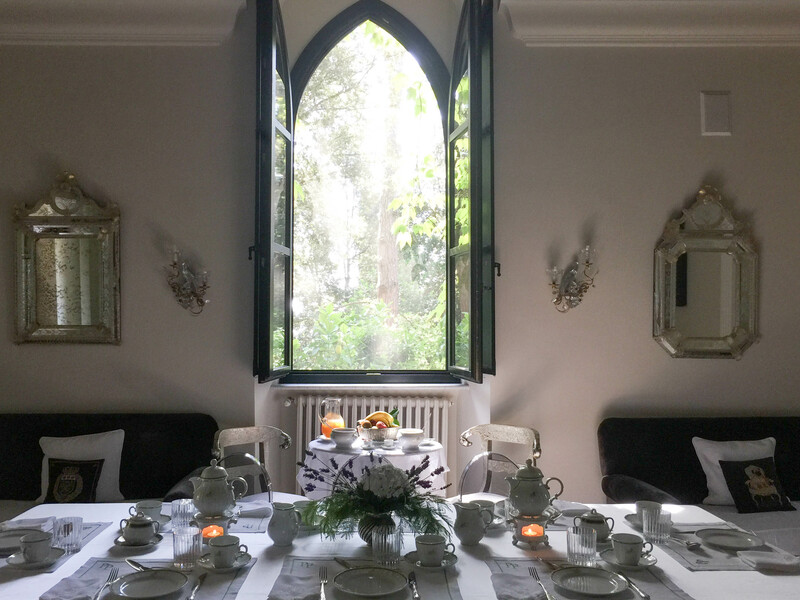 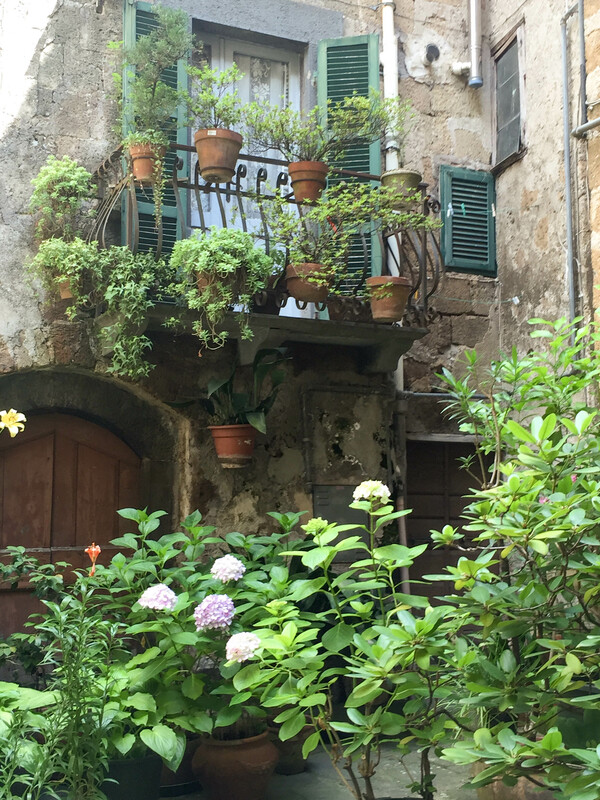 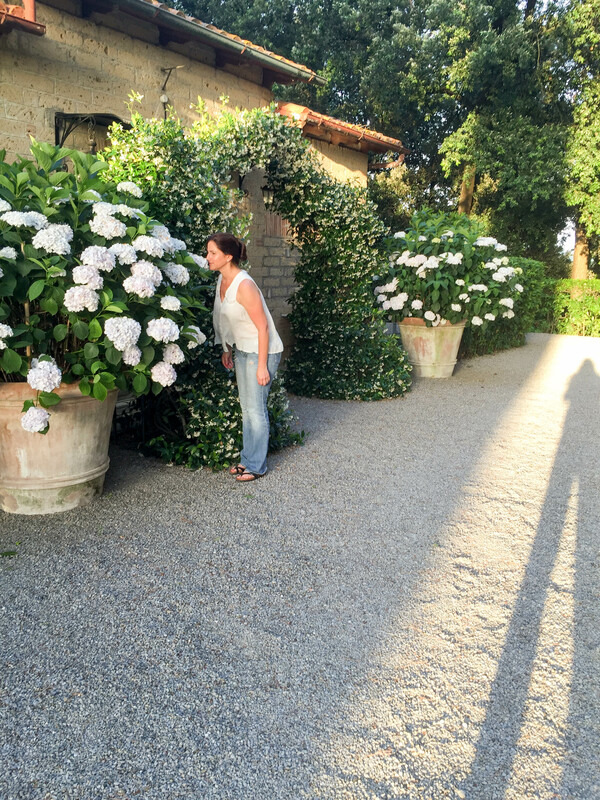 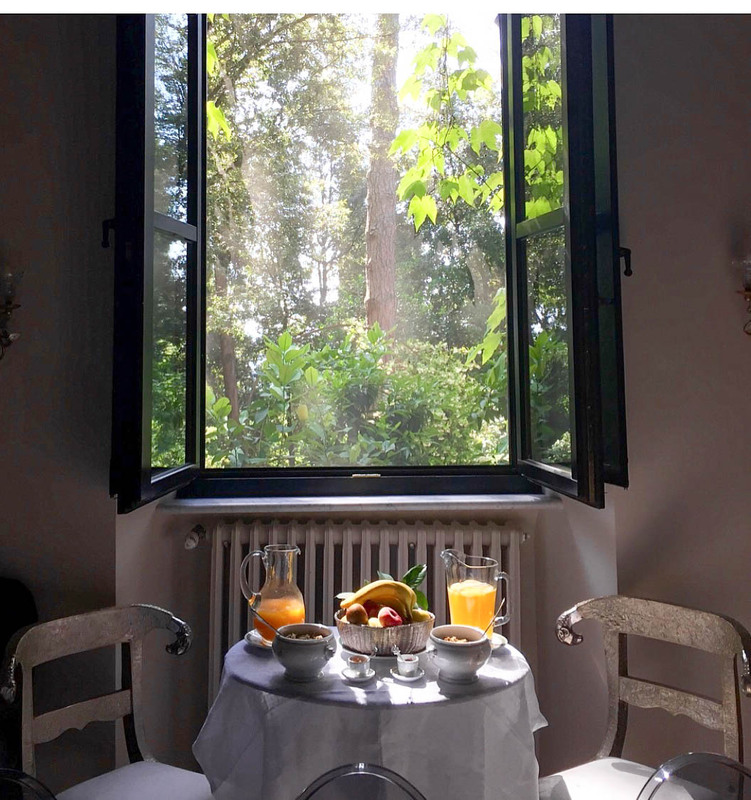 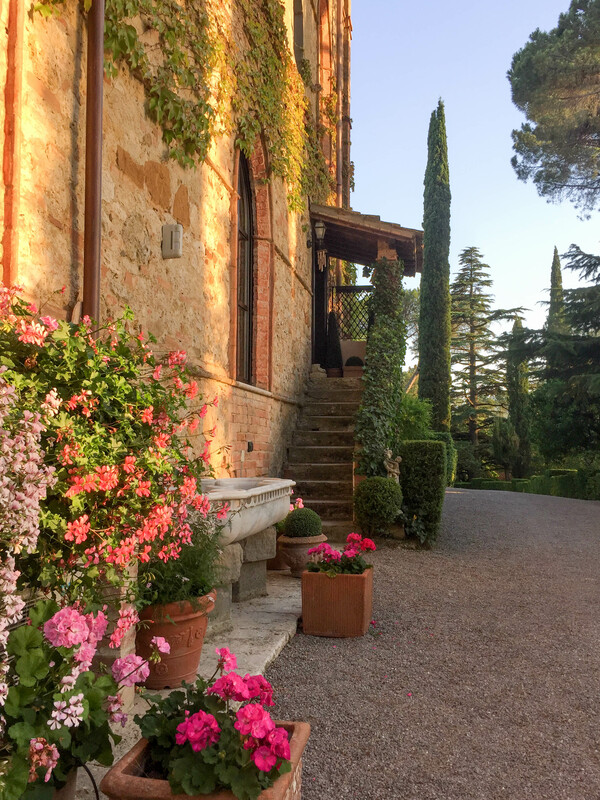 There were beautiful flowers to stop and sniff everywhere we went, a delicious spread of breakfast with the freshest fruits in the mornings and gorgeous sunsets in the Italian landscape. 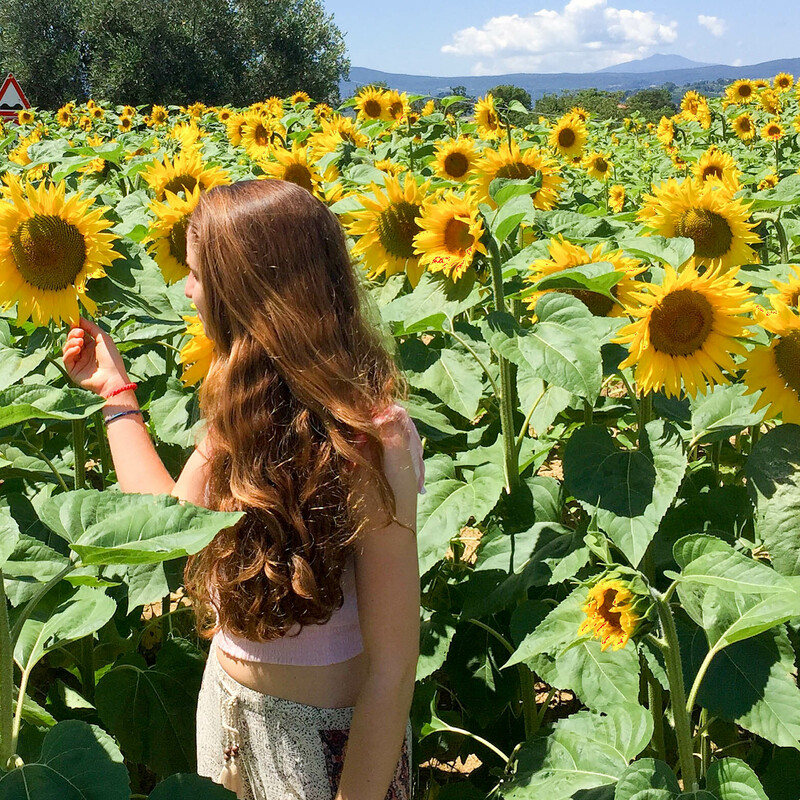 This summer trip will forever hold a special place in our hearts and we hope that these photos inspire you to travel to your dream destination.